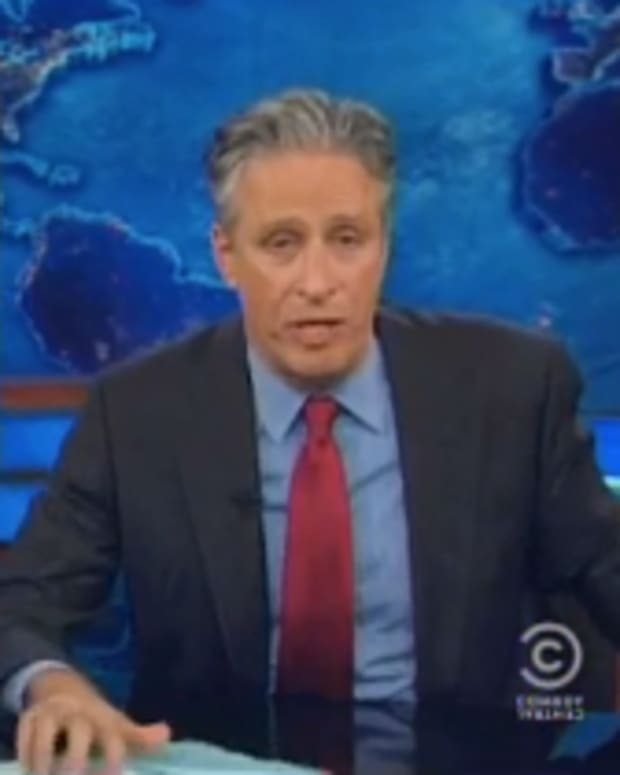 However, Stewart didn&apos;t seem prepared for 76 year old&apos;s good-natured lecture on profanity (video below). 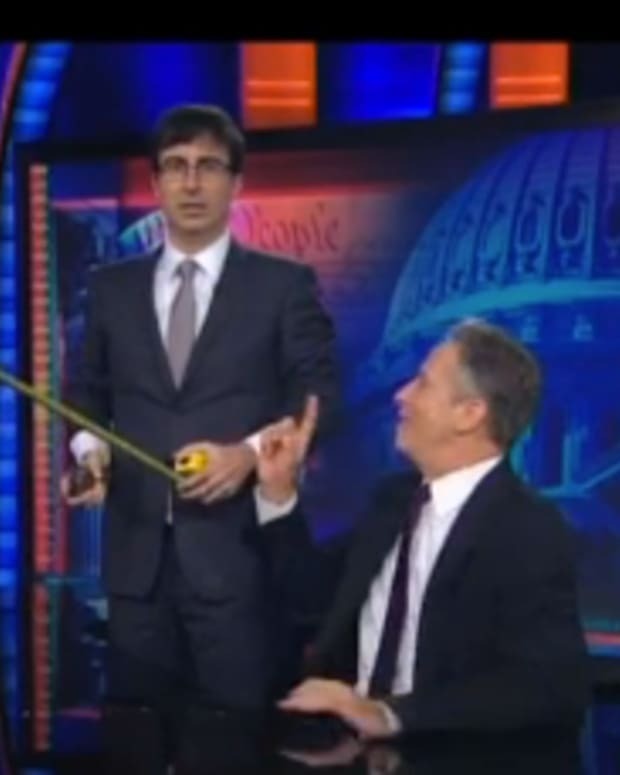 Apparently, Stewart used profanity during his stand-up routine at a benefit that both men appeared at. "You were out there and used some words," said Cosby. "And I said to myself, &apos;Oh my.&apos; And the people were laughing so hard because you were swearing and cursing." 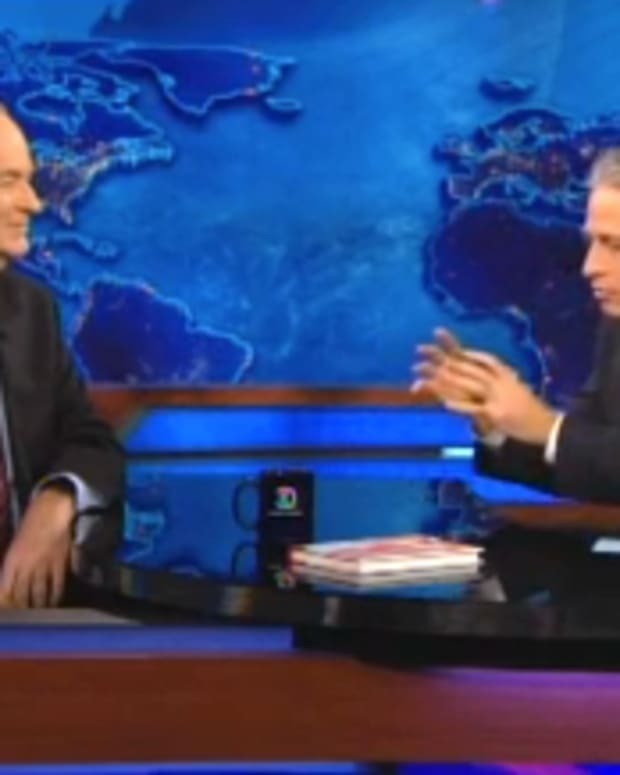 Stewart later asked Cosby about working with Richard Pryor, "Surely, he used Yiddish on stage." “No,” said Cosby, who recalled how Lenny Bruce was arrested for using profanity during his act in the 1960s. "You could not use profanity," recalled Cosby. "Stupid people would pay, knowing Lenny was going to curse and they would get up and leave." Two of his four arrests happened in New York City, but New York Governor George Pataki posthumously pardoned Bruce in 2003. While Pryor had a mainstream comedy act in the 1960s, he used profanity when changing to a more edgier act in the 1970s. 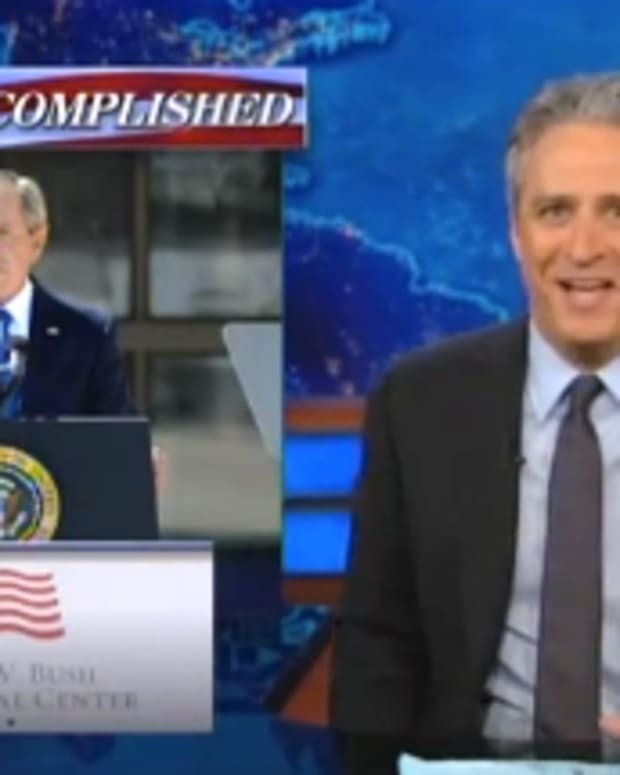 Video: Jon Stewart Mocks NRA's Fear of an "Imaginary Hitler"